Is the Impulsive Behaviour that Precedes Addiction Hardwired into the Brain? In various blogs we have forwarded the idea that emotional and stress dysregulation are that the heart of addiction and alcoholism and are also possible present in those at risk to these disorders. Essentially we suggest that the behavioural endpoint of addictive behaviours, the distress based impulsivity (negative urgency) seen in alcoholics and addicts which shapes decision making may be the consequence of chronic neurotoxic activity (as the consequence of chronic alcohol and drug use) on brain areas which have a pre-existing impairments or vulnerability such as brain regions involved in emotional regulation, processing, inhibition and stress and reward response. Here we cite an article (1) which looks at some of these brain regions, specifically those involved in emotional regulation and impulsivity and considers whether these deficits may be “hardwired” into the brain in terms of white and grey matter impairments. These areas serving cognitive, behavioral, and emotional regulation may be particularly vulnerable to adverse alcohol effects. Alternatively, deficits or developmental delays in these structures and their functions may underlie liability to accelerated alcohol use trajectories in adolescence. The prefrontal cortex, limbic brain regions, white matter ( composed of bundles of myelinated nerve cell axons which connect various grey matter areas (the locations of nerve cell bodies) of the brain to each other (see below – grey on outside, white inside) and carry nerve impulses between neurons. Myelin acts as an insulator, increasing the speed of transmission of all nerve signals, and reward circuits undergo active development during adolescence (Chambers et al., 2003; Spear, 2000). These structures and their functions, involving behavioral, emotional and cognitive regulation, may be particularly vulnerable to the adverse effects of alcohol exposure during adolescence. Delays or deficits in the development of neural substrates necessary for these psychological regulation abilities to fully develop may be termed neurodevelopmental dysmaturation. The development of accelerated alcohol involvement in adolescence is not an isolated phenomenon, but is typically presaged by persistent behavioral characteristics including attentional deficits, conduct problems, and irritability (Chassin et al., 1999; Clark et al., 1997a, 2005; Tapert et al., 2002). Two main psychological factors have been identified: (1) Behavioral Undercontrol, comprised of conduct disorder symptoms and personality characteristics including aggression and diminished constraint, and (2) Negative Emotionality, comprised of depression, anxiety and stress reactivity variables (Martin et al., 2000). These two factors were significantly correlated. These correlated characteristics have been hypothesized to comprise the early phenotypic manifestations of a core liability for SUDs (Tarter et al., 1999). The proposed construct manifested by these psychopathologic features has been termed psychological dysregulation (Clark and Winters, 2002). Psychological dysregulation is a deficiency in the ability to regulate attention, emotions and behavior in response to environmental challenges. Psychological regulation is thus the ability to modulate prepotent responses in order to optimize reward opportunities. The skills involved in psychological regulation include executive cognitive functioning (ECF), behavioral inhibition and emotional management. Deficiencies in psychological regulation may be the result of delays or persistent deficits in the acquisition of behavioral, emotional, and cognitive regulation skills. Adolescents at risk for developing SUDs exhibit deficits in psychological regulation. Childhood psychological dysregulation, or neurobehaviour disinhibition, correlates with parental substance use disorders (SUDs) and prospectively predicts adolescent alcohol and other substance use as well as related disorders (Clark et al., 2005; Tarter et al., 2003). The psychological dysregulation dimension integrates several psycho patholological dimensions heretofore considered distinct, including affective disorders and SUDS themselves (Krueger et al., 2002). The functions subsumed under the construct of psychological dysregulation are thought to be served by the prefrontal cortex (Koechlin and Summerfield, 2007). The capabilities that comprise psychological regulation improve during adolescence (Levin et al., 1991; Welsh et al., 1991). The ongoing development of the prefrontal cortex has been hypothesized to be the primary neurobiological foundation for the advancement of these abilities (Happaney et al., 2004; Spear, 2000). Developmental abnormalities in the frontal cortex have been found in children and adolescents with behavioral problems reflecting psychological dysregulation (Rubia et al., 2000; Spear, 2000). Diffusion tensor imaging (DTI) studies indicated that white matter organization increases from early childhood to young adulthood (Klingberg et al., 1999; Nagy et al., 2004; Schmithorst et al., 2002; Zhang et al., 2005).White matter development may underlie advancing executive functioning. 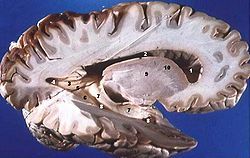 The prefrontal cortex is a brain region undergoing relatively late gray matter pruning, and volumes of gray matter appear to decrease over adolescence (Gogtay et al., 2004; Lenroot and Giedd, 2006; Sowell et al., 2001, 2004). Unlike grey matter volume, white matter volume appears to increase during adolescence, particularly in the prefrontal area (Ashtari et al., 2007;Barnea-Goraly et al., 2005; Lenroot and Giedd, 2006). Selective white matter loss has been reported among adults with Alcohol Use Disorders (AUDs) (Carlen et al., 1978, 1986) and with fMRI (Agartz et al., 2003), and postmortem specimens (Krill et al., 1997). Compared with controls, adolescents with AUDs have been found to have smaller prefrontal white matter volumes (DeBellis et al., 2005). Prefrontal grey and white matter volumes were compared in adolescents with AUDs. Compared with control subjects, subjects with AUDs had significantly smaller prefrontal white matter volumes.Marijuana use has also been found to be associated with smaller white matter volumes in adolescents (Medina et al., 2007b). While these volumetric findings suggest problematic frontal development among adolescents with AUD, the emergence of neuroimaging techniques developed to examine white matter organization may prove to be more specifically relevant to understanding the effects of alcohol on neurodevelopmental maturation. Changes in gene expression may be involved in alteration of white matter structure in AUDs. In a postmortem study, myelin-related genes were found to be down-regulated in the AUD group (Lewohl et al., 2000). While evidence has been presented that alcohol consumption may disrupt white matter organization, the possibility remains that delayed or diminished white matter organization may presage alcohol involvement and constitute a risk factor for AUDs. Immaturity of white matter development and the related deficits in the functional integration of brain areas may in part explain individual differences in psychological regulation during adolescence. For example, disruptive behavior disorders in childhood, particularly conduct disorder, have been found to predict accelerated trajectories of alcohol use, cannabis use, and substance-related problems in adolescence (Clark et al., 1999). The limbic system is central to the processing of affective stimuli, the successful formation of new memories, and the implementation of related responses. Limbic system structures, including the hippocampus and amygdala, may be susceptible to alcohol-induced dysmaturation. Smaller hippocampal volumes have been reported in adults with AUDs compared with control adults (Sullivan et al., 1995). As hippocampal development progresses in adolescence (Gogtay et al., 2006), this brain area may be particularly susceptible to the adverse effects of alcohol involvement during this developmental period. DeBellis et al. (2000) compared the hippocampal volumes of 12 adolescents and young adults with adolescent-onset AUD to those of 24 control subjects. Both left and right hippocampi were significantly smaller in AUD subjects compared to the volumes in controls. Specifically, left hippocampal volumes were smaller in teens with AUD than demographically similar controls, and youth with greater severity of AUD had the smallest left hippocampal volumes (Medina et al., 2007a; Nagel et al., 2005). The amygdala may also be important for understanding the neurodevelopmental effects of alcohol exposure. The amygdala, along with ventral striatum, has been hypothesized to be involved in reward mechanisms and thereby critical for understanding alcohol use trajectories (Koob, 1999). Amygdala volumes have been found to be relatively smaller in high-risk older adolescents and adults with SUDs compared to that in control subjects (Hill et al., 2001; Makris et al., 2004). Lack of correlation with use levels has led to the suggestion that this may be a predisposing characteristics rather than a substance effect. Interacting brain areas are involved in reward processing (McClure et al., 2004), motivation (Chambers et al., 2003), and decision-making (Verdejo-Garcia et al., 2006). The interactions between the prefrontal cortex and subcortical areas, including the amygdala and nucleus accumbens, constitute the neurocircuitry involved in reward responding. In the affective component of reward responding, the amygdala appears to be a network node involved in reactivity to emotional stimuli (Hariri et al., 2006; Schwartz et al., 2003). An understanding of the adolescent development of neural circuits underlying reward processing and decision making is central to considering the role of these systems in the development of alcohol involvement. Impulsivity, defined as acting without forethought, progressively decreases from childhood into adulthood. This change has been thought to occur as a result of neuromaturation in the prefrontal cortex (Casey et al., 2005). The generation of behaviors optimizing long-term reward opportunities often involves behavioral inhibition. The activation of prefrontal cortical areas during response inhibition tasks has been found to increase from childhood through adolescence, a change corresponding to the development of abilities to suppress prepotent behaviors (Luna and Sweeney, 2004; Luna et al., 2004). 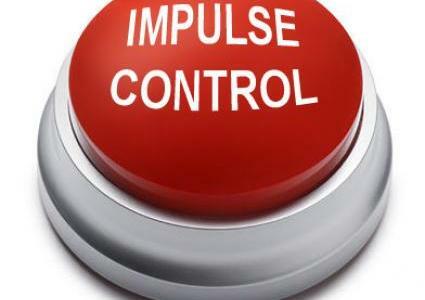 The ability to select an optimally adaptive behavioral response while suppressing a predominant or prepotent response with problematic consequences defines impulse control and is fundamental to psychological regulation skills. Improved abilities in response inhibition and related prefrontal activation during adolescence are thought to involve maturation of functional connectivity subserved by ongoing myelination. Adolescents with psychopathology predictive of SUDs, similar to adults with alcohol dependence, have difficulty with behavioral inhibition during laboratory tasks (Bjork et al., 2004a; Dougherty et al., 2003; Schweinsburg et al., 2004). Furthermore, adolescents with histories of substantial marijuana use, compared with control adolescents, showed more activation in frontal cortical areas during behavioral inhibition tasks (Tapert et al., 2007). More activitation suggests greater effort was required by the marijuana using group. 1. Clark, D. B., Thatcher, D. L., & Tapert, S. F. (2008). Alcohol, psychological dysregulation, and adolescent brain development. Alcoholism: Clinical and Experimental Research, 32(3), 375-385. One constant in studies on addiction and in alcoholism, in particular is the fundamental role played by impulsivity in these disorders. It is seen to be present in early use but appears to be more distress based (i.e. more negative urgency based) as the addiction cycle becomes more chronic. This impulsivity has obvious consequences for propelling these disorders via impulsive behaviours and decision making difficulties. Thus it then follows that any treatment of these addictive disorders must have treatment of impulsivity at the core as it appears to a fundamental pathomechanism. Here, we review a study that on links AA attendance and reduced impulsivity using a 16-year prospective study of men and women, who were initially untreated for their drinking problems. Across the study period, there were significant l decreases in impulsivity, and longer AA duration was associated with reductions in impulsivity. Alcoholics Anonymous (AA) is linked to improved functioning across a number of domains [2,3]. As the evidence for the effectiveness of AA has accumulated, so too have efforts to identify the mechanisms of change associated with participation in this mutual-help group . This study concluded that help-seeking and exposure to the “active ingredients” of various types of help (i.e., AA principles/practices, sponsors), which, in turn, leads to improvements in reduced impulsivity. Impulsivity is typically higher among individuals in AUD treatment than among those in the general population  and, impulse control deficits tend to predate the onset of drinking problems [6-9]. Contemporary research has revealed that traits such as impulsivity can change over time . Mutual-help groups like AA may promote such changes, given that they seek to bolster self-efficacy and coping skills aimed at controlling substance use, encourage members to be more structured in their daily lives, and target deficits in self-regulation . Such “active ingredients” may curb the immediate self-gratification characteristic of disinhibition and provide the conceptual grounds to expect that AA participation can press for a reduction in impulsive inclinations. In turn, given the range of outcomes related to impulsivity (e.g., legal, alcohol-related, and psychosocial problems), decreases in impulsivity may account for part of the association between AA participation and improvements in these outcomes. AA’s vision of recovery as a broad transformation of character , and explores individual differences in emotional and behavioural functioning as potential mechanisms of change (13,14). Such groups encourage members to be more structured and goal-directed, which may translate into greater efforts to delay gratification of one’s impulses and to improve clients’ general coping skills (e.g., reduce avoidance coping). Given that impulsivity is a risk factor for a host of problematic behaviors and outcomes beyond drinking-e.g., criminality , drug abuse , reckless driving and sexual practices , lower quality of interpersonal relationships , and poor health  this reduced impulsivty is beneficial in other aspects too. Notably, this effect was buffered by a higher quality of social support-a probable active ingredient of AA. Thus, the impact of reducing impulsivity may be widespread across a range of outcomes that are critical for long-term sobriety. Our main caveat on this study is that it does not distinguish between different types of impulsivity and does not mention negative urgency (or distress-based impulsivity) which is more commonly seen is this sample group. AA’s “active ingredients” may reduce distress, via a new found emotional regulation gained via the steps and use of a sponsor (acting as an external prefrontal cortex to help us inhibit our impulsive and distress based responses) which in turns reduces our tendency to impulsive decision making and behaviour. It would have been interesting in this study to have also measure how emotional dysregulation changed in the time span of 16 years (using the DERS scale) and to have used a different impulsivity scale i.e. used the UPPS-P scale which would both have helped more specificallylook at the interaction of how emotional regulation and impulse control changed over the 16 year period. 1. Blonigen, D. M., Timko, C., & Moos, R. H. (2013). Alcoholics anonymous and reduced impulsivity: a novel mechanism of change. Substance abuse, 34(1), 4-12. 2. Humphreys, K. Circles of recovery: Self-help organizations for addictions. Cambridge Univ Pr; 2004. 4. Kelly JF, Magill M, Stout RL. How do people recover from alcohol dependence? A systematic review of the research on mechanisms of behavior change in Alcoholics Anonymous. Addiction Research & Theory. 2009; 17(3):236–259. 7. Cloninger CR, Sigvardsson S, Bohman M. Childhood personality predicts alcohol abuse in young adults. Alcoholism: Clinical and Experimental Research. 1988; 12(4):494–505. 14. KELLY JF, et al. Negative Affect, Relapse, and Alcoholics Anonymous (AA): Does AA Work by Reducing Anger? Journal of studies on alcohol and drugs. Like many recovering alcoholics I know I have a real problem with “Not projecting into the future” but staying in the moment or even the day. Why is this? When I “project” or even consider a near future event I can feel distressed by it. I want to do something about it now! Not later. The future seems to be urgently now. I have long researched why this is? I seem to become overwhelmed at times by future tense and it is not even due to future events being that distressing in themselves. I just have this constant need to act now rather than later. I have an urgency or a negative urgency or in other words a distress based impulsivity which prompts a desire to act now, make a decision now rather than later. I call this a compulsion to act because a distress state compels me to make a decision to act now. As I have mentioned in previous blogs, alcoholics appear to have a bias in decision making towards choose the short term solution over a long term one, even though the long term solution will yield greater gains. There are various theories on why this is so. Sometimes it appears like a “fight or flight” response! My theory is that I am very poor at tolerating uncertainty and what is the future but uncertain. I have an “unconscious” negative bias about the future, linked at times to a tendency to then catastrophize. This intolerance of uncertainty is seen in other disorders, such as anxiety, obsessive-compulsive and post traumatic stress disorders as well as in eating disorders but it is rarely researched in alcoholism. I believe when confronted with a decision about the future I often make a decision to relieve a distress which manifests as an unpleasant feeling state which compels me, via a stimulus response to act now. Distress is the stimulus, acting now is the response. I am not saying that I have to be in a negative frame of mind for this to occur. It is simply a decision making bias I have when left to my own devices. It is the reason I speak to others when making important decisions in life because the need to relief distress can show in the mind as a good idea when it is often on reflection not such a great idea. This is due to distress being a stress-fuelled experience and excessive stress reduces the awareness of future consequence of a decision. It seems like a good idea at the time because it relieves distress. To the brain this is a good idea. It is a automatic response of the dorsal striatum, an implicit memory (procedural) system, that requires one to retrospectively rationalise and justify the automatic responding of this area of the brain, it justifies a previous action in other words, thus a decision is represented in the mind as a good idea, what was most urgently required! These rationalisations and justifications through time can become automatic schemas and are automatically activated following a compulsive response. Some of us are probably familiar with these schemas being a big part of our alcohol and drug use. As we needed to use, we had automatic addiction schemas following shortly after our decisions to head to the pub or to score some drugs or even to propel some decisions, as the consequence of distress states. It is these habitual response, based on distress states which bias decisions making to acting now, even in recovery. These “unpleasant affective responses” are distress based and lead to a negative urgency to act now. 1. Luhmann, C. C., Ishida, K., & Hajcak, G. (2011). Intolerance of uncertainty and decisions about delayed, probabilistic rewards. Behavior therapy, 42(3), 378-386. Do you have Emotional Regulation Difficulties!? Emotions have always troubled me! I have always found them frightening, always had difficulties labeling and controlling them. I have always seemed to put in an extra effort to keep them in check. I have recently read a very good chapter from a book (1) which looks at emotional regulation and the role it seems to play in psychopathology. In fact, it is my view that emotional dysregulation lies at the heart of alcoholism, initiates, sustains and perpetuates this chronic disease state. It was thus illuminating to see that emotional dysregulation is cited as being present in some 75% of disorders listed in The Diagnostic and Statistical Manual of Mental Disorders, DSM-5. Alcohol Dependence in the DSM has a narrow definition, I believe, of alcoholism as mentioned in previous blogs. It relegates all manifestation of emotional, mood, impulse difficulties to that of “co-morbidities” which means it thinks there is a difficulty with unregulated drinking but the unregulated thinking, emotions and impulsive behaviour it relegates to being the consequence of a co-occurring condition such as anxiety disorder, depression, post traumatic stress disorder and so on. This is not to say that some of these conditions do not co-occur with alcoholism. PTSD and alcoholism co-occur quite frequently. What I am saying is that a number of conditions/disorders attributed to alcoholism as a co-morbidity may not be co-morbidities at all, for some. They may be aspects of this psychiatric disorder I call alcoholism. Although the relationship of these psychiatric symptoms with addiction is very close, substance abuse may modify pre-existing psychic structures and lead to addiction as a specific mental disorder, inclusive of symptoms pertaining to mood/anxiety, or impulse control dimensions, decision making difficulties or, as we suggest, the various characteristics of emotional dysregulation. See blogs for more An Emotional Disease? and Current Definitions of Addiction – how accurate are they? I do not want to rehash arguments mentioned elsewhere on this blog (especially as I want to discuss some emotional regulation difficulties I find are very pertinent to my alcoholism and maybe to yours?) Particularly “self elaboration” which seems to be at the heart of my alcoholism and appears very similar to the alcoholic mentioned in the Big Book of Alcoholics Anonymous. and physiological responses, in facilitating decision making, in enhancing memory for important events, and for negotiating interpersonal relationships. But emotions can also hurt as well as help! Emotions are not always helpful! Psychopathology is largely characterised by excessive negative emotion. In those with emotional dysregulation, emotional regulation strategies helpful in childhood are now unhelpful in adulthood, such as use of an avoidant coping style where they down play threat and suppress feelings. This may have helped in surviving an abusive childhood but is not conducive to intimate adult relationships. Another difficulty is not allowing a primary emotional response to proceed but instead suppressing it or resisting it e.g it is not okay for me to feel angry at my dying mother. Thereby, creating a maladaptive secondary emotional response e.g. guilt. processes, lack of acceptance, and the activation of negative beliefs about emotions. Do you not immediately react to the external situation or to one’s internal primary emotional response, but pause for a moment and give oneself some breathing room? Thus allowing space for the emotion to begin to arise free of immediate avoidance (e.g., cognitive, behavioral, or emotional avoidance), immediate resistance (e.g., “I shouldn’t want to feel this way”), or impulsive behavioural reaction (e.g reacting angrily or fearfully)? Are you aware of your primary emotional response and be able to identify what emotion one is having in order to effectively control it? caused the emotion is and how controllable one’s internal reaction to the situation? For situations or internal thoughts or emotions that are out of one’s control, adaptive regulation is to accept the situation and experience . This is common to most therapeutic regimes. Finally, how well do you inhibit/control inappropriate or impulsive behaviors when experiencing negative emotions? All of the above, from a personal perspective, have improved the longer I have been in recovery. Although tiredness, or distress can prompt a quick return to emotional dysregulation. See if they relate to you too, or to a loved one. Specific forms of maladaptive attentional deployment include rumination, distraction and worry. Rumination typically involves repetitive attentional focus on feelings associated with negative events, along with a negative evaluation of their consequences. It has been associated with increased levels of negative emotion. Rumination is constantly implicated in alcoholism. We discuss this and catastrophizing in later blogs. Before a situation that is attended to gives rise to emotion, the situation needs to be judged as important to one’s goals (i.e., appraisal).This stage of imbuing a situation with meaning can be influenced if one wishes to change the trajectory of the emotional response. Cognitive change refers to changing how we appraise a situation to alter its emotional significance. Two categories of reappraisals associated with psychopathology are (1) self-elaboration (e.g. “Others must think poorly of me”) and (2) emotional resistance/non acceptance of one’s current emotional experience (e.g., “I shouldn’t feel bad” ). For example, instead of my negative thoughts and feelings being processed and put to bed, they can be reignited throughout the day and can leave me feeling negative for hours afterward rather than just for the period following whatever incident provoked this emotional response initially. This and other maladaptive emotional regulation strategies like rumination are shared with other disorders such as depression but this doesn’t mean they are the same disorders or that they co-occur. They are disorders which share common emotional dysregulation but ultimately have different behavioural manifestation. They are not co-morbid but similar in certain ways but not all. Back to self elaboration – Following my lack of appropriate emotional response above, I may feel negative the rest of the day, I may decide to ruminate, or complain or bitterly gossip with others, I may exhibit all the “defects of character” that came out in my step four inventory, such as pride, arrogance, intolerance, self-centredness, selfishness, anger, resentment, fear, dishonesty and so, all of which I feel are secondary emotional responding or emotional cascades. In fact, I believe step four through to seven helped me process the various episodes of emotional dysregulation I had running around my head and tearing at my heart for the thirty odd years prior to doing the steps. The more I gossip and backbite, the more I think the person who “wronged me” is incompetent, it’s all his fault, my feelings are down to him! He caused this distress didn’t he? The injustice of it all!! These thoughts will reignite other emotions and thoughts – I should have stuck up for my self – guilt and this situation could be serious – fear. And so the cascade continues. My emotional dysregulation is linked to a heightened reward sensitivity, I really like things that soothe my emotions like drink and drugs and I used them to regulate my emotions. I did not ruminate forever as in depression, I fixed it my external means, I consumed things and they change how I felt. This makes my condition different to depression although plenty of depressives drink and abuse drugs. For me this heightened reward sensitivity meant I enjoyed them a whole lot more, got a whole lot out of them and decided that they would be part of how I dealt with things, emotions, life. Our abnormal rejection to drink and drugs is a big part of our condition, our psychopathology, our psychiatric disorder. It has similarities with other conditions based on emotional dysregulation but it is also very different, That is why it demands a different treatment. The wrong treatment will not Work! The self elaboration means that I would consider many imagined scenarios all in relation or in reference to my self. The self has to be involved. Unfortunately this elaborates the meaning of my emotional responses and the emotional responses. All of a sudden there is a soap opera running in my head, a committee of wrongdoings, soon becoming a psycho drama. A friend of mine in AA calls it travelling via his intergalactic armchair! Ruminating on things that did not occur as we think, will not occur as we think and have only caused a temporary insanity. How is this not a psychiatric disorder!? The emotions get increasing intense and proliferate. A many headed monster. All usually because of my initial misperception of something that probably did not occur! Werner, K., & Gross, J. J. (2010). Emotion regulation and psychopathology: A conceptual framework. So how is your decision making? In this blog we will look at something which we believe is apparent in alcoholics, the decision making difficulties very present in active alcoholism and to a lesser extent in recovery. By this we mean there is a tendency to use the short term fix over more long term considerations, a more “want it now” than delayed gratification. This may be down to internal body (somatic signals) which can give rise to an unpleasant feeling at times prior making a decision, as if we sometimes make decisions based on a distress feeling rather than forward thinking, that we choose a decision to alleviate this feeling. It has been suggested by some authors that emotions do not guide the decision making of alcoholics and addicts properly and this is the reason why they are maladpative. Equally it may be that certain somatic states such as the so-called ‘primary inducers’ of feeling, mainly centring on the “anxious” amgydala which helps in our responding to body states associated with chronic drug and alcohol abuse, such as alleviated, chronic stress (and it’s manifestation as emotional distress) have the potential to dominate decisions, to treat decisions in a habitual, automatic manner and not in via a thoughtful consideration of the possible outcome of our decisions. Once science thought we make sensible reasonable decision based on pure reason but it has become clear in recent decades that we use emotional signals ,”gut feelings” to make decisions too. It appears that if we don’t access these emotional signals we are destined to make the move decisions over and over again, regardless of their outcome and consequence. The extreme example of emotions guiding decisions, would be running from a rampaging lion, this decision is make emotionally, via the quick and dirty route, the “low road” according to Le Doux. The amygdala, which directs signal traffic in the brain when danger lurks, receives quick and dirty information directly from the thalamus in a route that neuroscientist Joseph LeDoux dubs the low road. This shortcut allows the brain to start responding to a threat within a few thousandths of a second. The amygdala also receives information via a high road from the cortex. Although the high road encodes much more detailed and specific information, the extra step takes at least twice as long— and could mean the difference between life and death. Emotional dysregulation and altered reward sensitivity may underpin impulsive behavior and poor decision-making. Both of these tendencies can be seen in the “real-world” behavior of addicted individuals, but can also be studied using laboratory-based paradigms. Addiction is associated with a loss of control over drug use which continues in spite of individuals’ awareness of serious negative consequences. Increased reward alone, as seen in alcoholics and resulting in attentional bias and automatic responding to cues (internal and external) do not seem a sufficient explanation for this persistent maladaptive behavior of addiction. Instead there must be additional deficits in decision-making and/or inhibiting these maladaptive behaviours and which critically involve emotional factors exerting a detrimental effect on cognitive function. The term “impulsivity” is often used to describe behavior characterized by excessive approach with an additional failure of effective inhibition (1) and has consistently been found to be associated with substance dependence (2,3). Impulsivity is a complex multifaceted construct which has resulted in numerous additional definitions such as, “the tendency to react rapidly or in unplanned ways to internal or external stimuli without proper regard for negative consequences or inherent risks” (4), or “the tendency to engage in inappropriate or maladaptive behaviors” (2). This we suggest could be the consequence of either the push or pull of dsyregulated emotions. By this we mean we either do not use emotions properly to feel the right decision as we cannot process them properly to use them as “guides” in decision making or these dsyregulated emotions become distressing and prompt more compulsive decision making, effectively to relieve the distress of these negative emotional states. Either way it appears that not only do alcoholics, but also children of alcoholics, use a more motor-expressive style of decision making, i.e. they recruit more compulsive regions of the brain rather than prefrontal cortex areas normally used used to make planned, evaluative decisions. It appears that emotional dsyregulation is at the heart of maladaptive decison making in alcoholics and addicts. Emotional impulsivity more closely reflects the interaction between emotional and cognitive processes. Negative urgency, the disposition to engage in rash action when experiencing extreme negative affect (mood, emotion or anxiety), or in simple terms, distress-based impulsivity, was found to be the best predictor of alcohol, drug, social, legal, medical, and employment problems (5). Substance users frequently make decisions with a view to immediate gratification (6-10), and may be less sensitive to negative future outcome (‘myopia for the future’) (11,12). It has been hypothesized that substance users are less able to use negative feedback to guide and adjust ongoing behavior (12). These findings highlight a specific role for emotion. Emotional impulsivity traits appear distinct from other impulsivity traits and particularly pertinent for dependence, reliably differentiating substance users from controls, and also predicting poorer outcomes in dependent individuals. The impact of emotional processing on cognitive performance. A common behavioral measure of impulsivity is the delay discounting task which measures the degree of temporal discounting. Participants are faced with the choice of a small immediate reward, or a larger delayed reward; choosing the smaller immediate reward indicates a higher degree of impulsivity. Increased discounting of larger delayed rewards has been found in heroin- (13), cocaine- (14), and alcohol (15 -17) -dependent individuals. Enhanced discounting is also seen during opiate withdrawal, possibly reflecting the emergence of negative affect states during withdrawal (18). Withdrawal is a period of heightened noradrenaline ( a “stress” chemical”) and this excessive stress has a bearing on decision making, and in relapse. High levels of negative affect, anxiety/stress sensitivity a in substance dependent individuals may therefore contribute to observed deficits on decision-making tasks. Stress mechanisms are considered to be important mechanisms underlying relapse (19), suggesting these emotional traits impair real life decision-making. Studies directly assessing the role of emotional states on decision-making in opiate addiction have shown that trait and state anxiety are negatively correlated with performance on the the Iowa Gambling Task – IGT (20). Furthermore, stress induction using the Trier Social Stress Test, was shown to produce a significant deterioration in IGT performance in long term abstinence and newly abstinent heroin users, but not in comparison subjects. Treatment with the B adrenocepter antagonist propranolol blocked the deleterious effect of stress on IGT performance, supporting the role of the noradrenergic system in the generation of negative emotional states in substance dependence (21). These findings indicate that conditioned emotional responses, i.e. stress based emotional response, impair decision-making. Planning systems (also referred to as deliberative, cognitive, reflective or executive systems) are “goal-directed” systems that allow an agent to consider the possible consequences or outcomes of its actions to guide behavior. Habit systems mediate behaviors that are triggered in response to certain stimuli or situations but without consideration of the consequences. “Habit” systems do not mean we are calling addiction is a habit, it simply means behaviour is automatic, ingrained, individuals respond immediately, without future consequence to certain stimulus, such as stress or emotional distress. It is a conditioned response! Brain areas underlying these conditioned or Pavlovian responses include the amygdala, which identifies the emotional significance or value of external stimuli, and the ventral striatum, which mediates motivational influences on instrumental responding (22), and their connections to motor circuits (23). Thus, it has been argued that emotions constitute a decision-making system in their own right, exerting a dominant effect on choice in situations of opportunity or threat (24). It should be noted here, that in the addiction cycle, as it progresses towards endpoint addiction and compulsive use of substances, there is a stress based reduction in prefrontal cognitive control over behaviour, and a responding more based on automatic emotive-motoric regions of the brain such s the dorsal striatal (DS) (and basal ganglia). Reward processing moves to the DS also from the ventral striatum (VS). Thus stress modulates instrumental action in favour of the DS-based habit system at the expense of the PFC-based goal-directed system, also seen in hypertrophy of the DS and hypotrophy of the PFC. This shift from cognitive to automatic is also the result of excessive engagement of habitual processes, by partly by affecting the contribution of multiple memory systems on behaviour. We suggest that emotional stress via amgydaloid activity knocks out the hippocampal (explicit) memory in favour of the DS which is also a memory system, that of implicit memory, the procedural memory. In lien with addiction severity, the brain appears to implode inwards towards compulsive behaviours of sub-cortical areas such as the DS modulated by the amgydala from more conscious cognitive control areas of the cortex. In fact, it is possible to say that this conscious cognitive control diminishes. Recent evidence suggests this role of stress in shifting goal-directed control to habitual control of behavior (25). This effect appears to be mediated by the action of both cortisol and noradrenaline (26). More importantly, perhaps for our argument is that , this shift from hippcampal to DS memory is also a function of a “emotional arousal habit bias”, as seen in post traumatic stress disorder, via amgydaloid hyperactivity, or distress based hyperactivity, which results in emotional distress acting as a stimulus to the automatic responding of the DS. Affect related behaviour, in essence, becomes more compulsively controlled also. In simple terms, negative urgency, may bias an automatic responding towards amgydaloid activation of the dorsal striatum and away from cortical areas such as the ventromedial cortex – vmPFC (27 ) which is involved in emotionally guided decision making and this may have consequence for decision making as decision making involves responding to stimulus such as emotionally provoking stimuli. One study (28) showed this vmpfc to be hyperactive in recently abstinent alcoholics, perhaps as the result of altered stress systems which create a state called allostasis, and when further stressed responding moved to the more compulsive regions of the brain listed above. This suggest to us, that there are inherent difficulties with emotional dysregulation, particularly in early abstinence/recovery and that these resources when taxed further by seemingly stressful decision making may be dealt with via a need to make a decision to relieve this “distress” feeling rather than achieve a long term outcome. Relieving this distress is thus the outcome most urgent. Thus for some alcoholics there is an overtaxing of the areas implicated in emotional regulation and thus emotionally guided decision making and under extreme stress we suggest this switches to more a more compulsive decision making profile. The habit system chooses actions based upon stored associations of their values from past experience; through training, an organism learns the best action to take in a certain situation. Upon recognition of the situation again this “best action” will automatically be initiated, without consideration of consequences of such an action. This process is very fast but inflexible, unable to adapt quickly to changes in the value of outcomes (29,30). Thus although emotion can guide decision-making when it is integral to the task at hand, emotional responses that are excessive can be detrimental (31). Dorsal prefrontal regions are also involved in the regulation of affective states (32). Excessive emotion is likely to require increased regulation by these areas (33,34). Dorsal prefrontal regions are additionally important in decision-making and inhibitory control, thus high levels of emotion that require regulation may limit resources available for these functions, which may contribute to deficits in decision-making. As we mentioned this PFC control becomes impaired in the addiction cycle with automatic responding becomes more prevalent. This is especially the result of the emotional manifestation of chronic stress which is distress. We suggest this distress can act as a switch between conscious and automatic (unconscious) responding and this has consequences for decision making. Given the crucial role of emotions in the processes of decision-making as described above, it follows that dysregulation of emotional processing may contribute to the observed decision-making deficits observed in substance dependent individuals. Decisions are driven by distress or negative affect and appear to favour now over then/later. These areas and others involved in emotional regulation such as the hippocampus, orbitofrontal cortex and insula show morphological abnormalities and the emotional regulation neural network as a whole appears to have functionality and connectivity impairments. These all suggest emotions are not being utilized properly to guide decisions. This may even appear as unregulated and distressing with the brain experiencing this distress rather than processed emotions. A similar decision making profile is seen in alexithymia, where there is a difficulty labelling and processing emotions and thus using them to guide decision making which appears to result in recruitment of more compulsive or motor expressive areas of the brain outlined here. There are also similar morphological, neurobiological and connectivity impairments as seen in addiction. Cocaine addicts also have a similar decision making profile as do children of alcoholics, before they start to use substances. Whether these separate groups all have distress prompting this decision making profile or whether it is unpleasant feeling state based on not fully processing emotion is open to debate. As the prefrontal regions of the planning system are impaired in substance dependence, this compromises both the ability to generate affective states relating to long term goals and the ability to exert executive inhibitory control over drug-seeking thoughts and actions . Dorsal prefrontal regions are involved in the regulation of affective states . Therefore excessive anxiety would require increased regulation by these areas. Studies have shown dorsal prefrontal regions to be important in regulating reducing amygdala activity . Considering these prefrontal regions are important for decision-making and anxiety regulation would limit the resources available for effective decision-making within the planning system and would not be able to inhibit more amgydaloid, or compulsive responding. Bechara concluded that an impaired ability to use affective signals to guide behavior underlie impaired decision-making in these individuals. We forward the idea that distress signals guide this decision making and behaviour via a compulsive desire to automatically act to relieve a distress state. Whether via an unprocessed emotional state or as the consequence of the addiction cycle and excessive chronic distress recruiting compulsive parts of the brain. Either way emotional processing and regulation deficits lie at the heart of these decision making difficulties! Now is chosen instead of later, short term gains rather than long term higher gains, because of the negative urgency to act now, to relieve a distress, which automatically, not consciously, devalues future outcome. The future is now in other words. There is a distress based urgency to act this moment, not later. It is this desire to compulsively act which may give rise to obsessive compulsive behaviours, based on the desire to relieve distress not on the relative merits of a future consequence. It can appear as a “little emergency” not a choice, the “flight or fight” response that delay discounting could possible be measuring and that excessive noradrenaline and glucocorticoids (stress chemicals) prompt – it has to be done, needs to be done now! 27. Cyders, M. A., Dzemidzic, M., Eiler, W. J., Coskunpinar, A., Karyadi, K., & Kareken, D. A. (2013). Negative Urgency and Ventromedial Prefrontal Cortex Responses to Alcohol Cues: fMRI Evidence of Emotion‐Based Impulsivity.Alcoholism: Clinical and Experimental Research. 28. Seo, D., Lacadie, C. M., Tuit, K., Hong, K. I., Constable, R. T., & Sinha, R. (2013). Disrupted ventromedial prefrontal function, alcohol craving, and subsequent relapse risk. JAMA psychiatry, 70(7), 727-739. 46. Murphy, A., Taylor, E., & Elliott, R. (2012). The detrimental effects of emotional process dysregulation on decision-making in substance dependence. Frontiers in integrative neuroscience, 6. Is Addiction an Emotional Disease!? “Addiction”, is widely viewed as a chronic, relapsing, neurobiological disorder, characterized by compulsive use of alcohol or substances, despite serious negative consequences. It involves both physiological and psychological dependence and leads to the emergence of a negative emotional state. The Diagnostic and Statistical Manual of Mental Disorders, DSM-5, combines DSM-IV categories of substance abuse and dependence into a single disorder, on a continuum from mild to severe. The previous definition of addiction by the American Society of Addiction Medicine (ASAM) includes the terms, craving, persistent risk, and emphasizes risk of relapse after periods of abstinence triggered by exposure to substance-related cues and emotional stressors . This conceptualisation points to the role of substance-related cues, e.g., environmental stimuli that are strongly associated with the effects of the administration of substances and acquire incentive salience through Pavlovian conditioning, as well as stress (an internal cue), as major determinants of relapse. For example in terms of the reasons for relapse implicated in much research, alcoholics relapse due to ‘cue-reactivity’ i.e. they see ‘people, places, or things’ associated with their drinking past and they are drawn to it and simply relapse. We appreciate the role now afforded to “dysfunctional emotional response” in this new definition as we believe it is dysfunctional emotional response which is at the heart of alcoholism and addiction. Our own experience of recovery, coupled with our neuroscientific research over several years, has made us curious as why the ways addicts and alcoholics talk about their condition or the explanations they forward all generally point to what they would call an “emotional disease” or “a parasite the feeds on their emotions”, an “emotional cancer” or a “fear based disease” yet these are rarely countenanced in any theory of addiction, whether neurobiological, psychological, psycho-analytical (although there have been very interesting ideas based on attachment within this methodology). In even more recent times, we have been encouraged that these difficulties also shape decision making difficulties, distress based impulsivity (leading to compulsivity) lack of inhibition across various psychological domains, as well as more revealingly the cognitive and executive dysfunctions and ‘flight or flight’ reactions which seem common to this group, over reacting in other words. There appears to be a short term decision making profile which we suggest is distress based, which implicates more emotive-motoric “automatic,compulsive”regions of the brain rather than goal-directed. A more “let’s do it NOW!”way of making decisions. This is also seen in children of alcoholics. Although the relationship of these psychiatric symptoms with addiction is very close, substance abuse may modify pre-existing psychic structures and lead to addiction as a specific mental disorder, inclusive of symptoms pertaining to mood/anxiety, or impulse control dimensions, decision making difficulties or, as we suggest, the various characteristics of emotional dysregulation. All of which suggests the current DSM based nosology of addiction-related mental comorbidity does not consider the overlap of the biological substrates and neurophysiology of addictive processes and psychiatric symptoms associated with addiction, so fails to include specific mood, anxiety, and impulse control dimensions and decision making difficulties in the psychopathology of addictive processes. Addiction reaches beyond the mere result of drug-elicited effects on the brain and cannot be peremptorily equated only with the use of drugs despite the adverse consequences produced. Addiction is a relapsing chronic condition in which these psychiatric manifestations play a crucial role. Thus it may be that the aetiology of addiction cannot be severed from its psychopathological underpinning, it’s roots. In may have been initiated by these mechanisms and also the addiction cycle may be continually perpetuated by them. Particularly in view of the undeniable presence of symptoms, of their manifest contribution to the way addicted patients feel and behave, and to the role they play in maintaining the continued use of substances. In other words, the latter symptoms frequently precede the addictive process constituting a predisposing psychological background on which substance effects and addictive processes interact, leading to a full-fledged psychiatric disorder. Within the frame of the current DSM, numerous relevant psychiatric issues in substance abuse disorders may have been overlooked. Even in the absence of psychiatric diagnosis, specific psychological vulnerabilities may constitute a background for the development of disorders. The neural circuitry implicated in affective reactivity and regulation is closely related to the circuitry proposed to underlie addictive behaviours. Affect is related to dysfunctional decision-making processes and risky behaviours, In fact, we suggest these affective processing difficulties cause inherent decision making difficulties and constitute a premorbid vulnerability. Substance dependence is associated with significant emotional dysregulation that influences cognition via numerous mechanisms. This dysregulation comes in the form of heightened reward sensitivity to drug-related stimuli, reduced sensitivity to natural reward stimuli, and heightened sensitivity of the brain’s stress systems that respond to threats. Such disturbances have the effect of biasing attentional processing toward drugs with powerful rewarding and/or anxiolytic effects. Emotional dysregulation can also result in impulsive actions and influence decision-making. It appears clear in addiction and alcoholism (substance dependence) and that emotional processing significantly impairs cognition in substance dependence. Emotionally influenced cognitive impairments have serious negative effects with both the resultant attentional bias and decision-making deficits being predictive of drug relapse. The influence of emotion is clearly detrimental in substance dependence, and many of the detrimental effects observed are due to the ability of drugs of abuse to mimic the effects of stimuli or events that have survival significance. Drugs of abuse effectively trick the brain’s emotional systems into thinking that they have survival significance! They trick the alcoholic into thinking he needs to drink to survive! It is important to note that the neural mechanisms implicated in neurobiological accounts of the transition to endpoint addiction from initial use are also experienced emotionally in human beings, in addicted individuals. That human beings, addicted individuals have to live with these profound alterations and impairments of various regions and neural networks in the brain. And that it is in treating these human manifestation of this neurobiological disease, i.e. one’s “dysfunctional emotional responses” in every day life that is required for long term recovery. We have to manage the emotional difficulties which perpetuate this disease, this “parasite on our emotions”, otherwise these dysfunctional overwhelming emotions manage us. It is through this emotional dysregulation that the addiction cycle is experienced and via emotional means perpetuated! It is through living “emotionally light” and spiritually aware lives which help manage our emotions that perpetuate our long term recovery. Emotional distress is at the heart of addiction and alcoholism, and relief from it on a continually, daily basis is at the heart of recovery. American Psychiatric Association (2013). Diagnostic and Statistical Manual of Mental Disorders (Fifth ed.). Arlington, VA: American Psychiatric Publishing. pp. 5–25. Pani, Pier Paolo, et al. “Delineating the psychic structure of substance abuse and addictions: Should anxiety, mood and impulse-control dysregulation be included?.” Journal of affective disorders 122.3 (2010): 185-197. Murphy, A., Taylor, E., & Elliott, R. (2012). The detrimental effects of emotional process dysregulation on decision-making in substance dependence. Frontiers in integrative neuroscience, 6. Cheetham, A., Allen, N. B., Yücel, M., & Lubman, D. I. (2010). The role of affective dysregulation. in drug addiction. Clinical Psychology Review, 30(6), 621-634.